Waiting on Wednesday is a weekly meme hosted by Breaking the Spine. Each week you have the ability to showcase an up-and-coming release you are looking forward to. 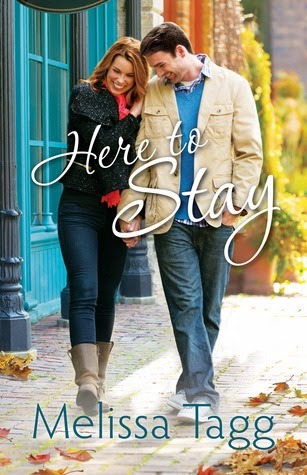 I loved Melissa Tagg's debut novel Made to Last and I was so happy to see that Here to Stay is going to feature my favorite character from the first novel, Blake Hunziker! He was the best...I don't want to say sidekick, but he kind of was. His humor was great and I can't wait to see what his story brings. Great pick! This looks like a great contemporary romance. Well, I haven't heard of this author or series, but I know that good books should be honored. OMGGGGGG the cover!! Just adorable! Great pick! Looks like a great one. Here is mine. Vanya, Melissa Tagg just released her debut novel this past year. Her writing is fantastic! Rissi, I can't wait to see what everyone has to say about this one! 2014 is shaping up to be a fantastic book year!